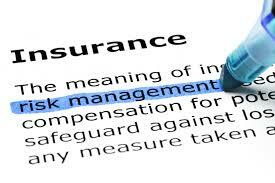 Insurance is all about risk and the mitigation of risk. Have a car accident or a significant medical event and you will see how risk affects the cost of your coverage. The industry offers cheaper rates when you drive safely, practice a healthy lifestyle or complete home improvements that reduce risk. Risk tolerance and mitigation is the name of the game, and quality data significantly helps reduce the amount of risk they assume. They will win or lose based upon the results of that data and their risk. Insurance has always depended on statistics and being able to predict behavior. Data cleansing and fuzzy matching tools help insurance companies gain a greater perspective on their data and their client profiles, and help improve both customer service and the potential to market additional products. Predicting future diseases: health insurance companies are monitoring current patient health status and using data to predict future diseases and health conditions. Premium rates: Understanding and reducing risk will greatly reduce consumer costs, while improving customer satisfaction. Claims payments: Quality data will improve the length of the claims process and settlements, which are usually cumbersome and frustrating to the insured. Reducing fraud: Fraud is one of the most damaging and toxic areas of the industry. It sky-rockets costs, prolongs the claims process and ruins customer service. The industry must aggressively protect itself against fraudulent activity to remain viable. Advertising; Like with any other industry, marketing makes all the difference in reaching the right customers for certain products. With thin margins and delicately balanced risk, insurance companies must constantly evaluate market costs. The accuracy and quality of insurance data will define how the industry performs in the future. It will enable these companies to become more affordable across all markets and provide levels of service that are being demanded by the customer. Marketing campaigns can be more accurately targeted, and fraud can be significantly reduced. Linking disparate data sources together can lead to new insights and a better understanding of the insurance market. Read our Zurich case study and see how we helped this insurance company glean better insight into their data. Data Ladder offers the best data cleansing and fuzzy matching tools in the industry, and is the perfect partner for the insurance industry as they progress toward improved data quality levels. Our DataMatch software is the premier tool for insurance companies for fuzzy matching, deduplication, and data cleansing. Go to dataladder.com and download a free trial today!